Keen to offer pharmacists and their families, former pharmacists and pharmacy students a more interactive, user friendly and responsive online experience, Pharmacist Support – the professions independent charity – has launched a new and improved website. The new site not only allows visitors to search for information and other support organisations, to ask questions online and participate in a live online chat, it is built using responsive design, making it easier to read and to navigate on mobile and tablet devices. 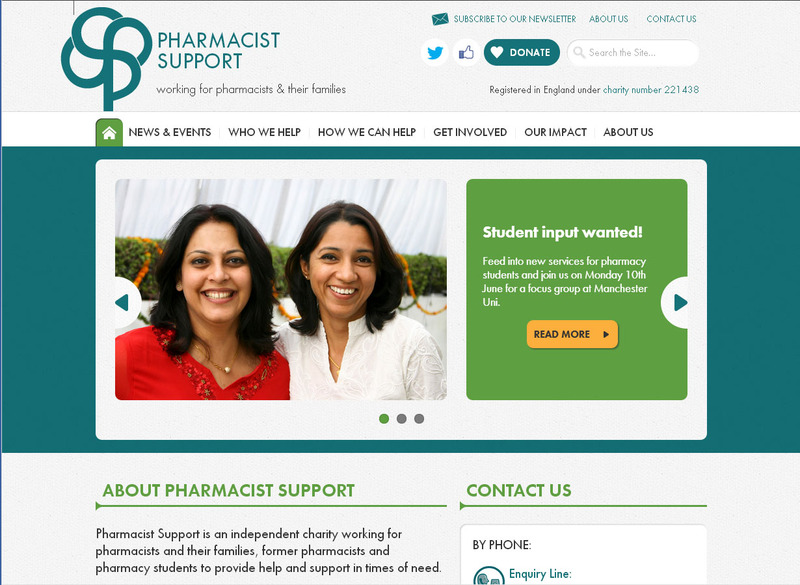 With visits to pharmacistsupport.org increasing by 75% since its launch back in September 2008 and visits from people using mobile devices also growing significantly in 2012, it was important to the charity to invest in their online presence and ensure that the new site was accessible and mobile friendly. “The world wide web was a very different place when the first Pharmacist Support website was launched back in 2008” said Charity Manager, Diane Leicester. “Since then the number of households with an internet connection has increased considerably and access to the internet using a mobile device in the UK has become commonplace. The Charity was also keen to highlight through the new design, the variety and complexity of the issues raised and feature examples of the tailored assistance it now provides. It was important too to showcase the impact of this support and to share the stories of service users. For further information, interviews or access to imagery please contact Kate Westbrook on 0161 441 0313 or email kate.westbrook@pharmacistsupport.org. Some of the services offered are delivered directly by trained volunteer pharmacists. Due to a shared professional background, these volunteers are uniquely positioned to be able to understand the specific pressures pharmacists and their families face.